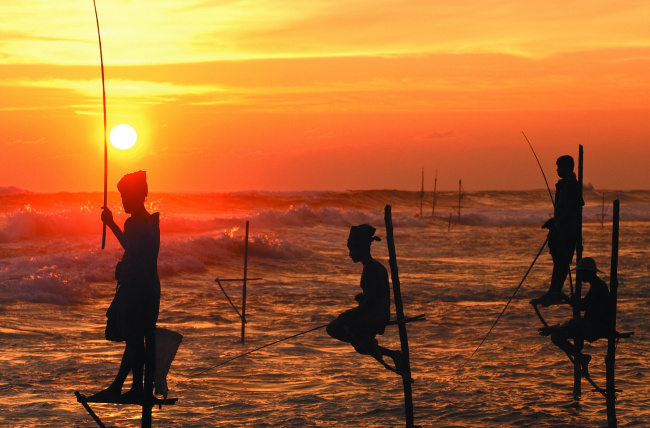 Cafe 395 will also offer Afternoon Tea Sets, which will include a selection of Ceylon and Korean Teas served with Sri Lankan snacks. The buffet is 94,000 won per person during lunch and 99,000 won during dinner. Indoor and outdoor seatings are available. For reservation and inquiry, call Cafe 395 at (02) 317-3062. 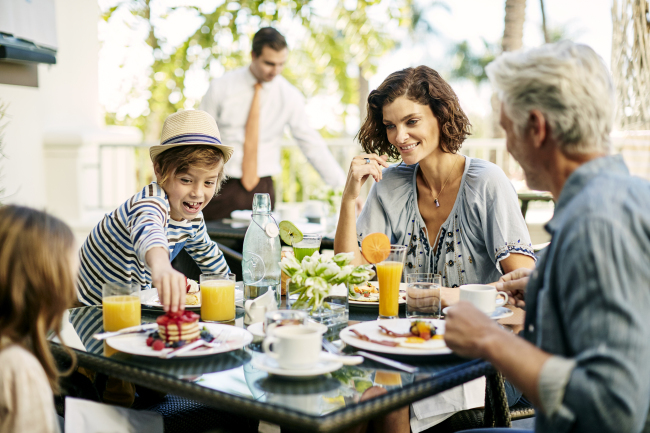 Park Hyatt Seoul’s Italian restaurant Cornerstone will organize a brunch from 11:30 a.m. to 3 p.m. on May 5-6 to celebrate Children’s Day. Main dishes include mini burgers, spaghetti and chicken fingers, alongside antipasti such as cheese, salad, salami and Italian-style seafood crudo. Desserts are tiramisu and gelato, among others. Beverages include cocktails, draft beer and soft drinks. Cooking classes for making cotton candy and pizza will also be offered. The price is 99,000 won per person for adults and 50,000 for children between age 8-13. The restaurant is also offering 100 lucky bags with room vouchers, dining vouchers, spa vouchers and signature items of the hotel. Each lucky bag is 250,000 won. For information and reservation, call Cornerstone at (02) 2016-1220~1. 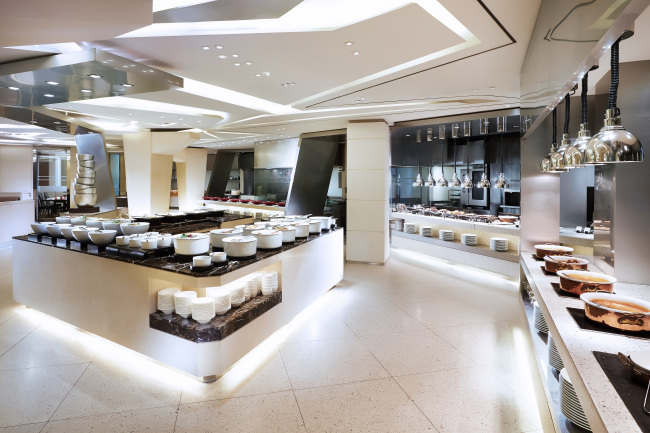 The Westin Chosun Seoul’s Aria Buffet Restaurant is offering special dining options until May 7 to mark Children’s Day. The menu includes pork cutlet gimbap, fried tofu rice balls, sauteed beef and rice cakes, noodles with black bean sauce, pizza capricciosa and crab croquette. Various gifts will be handed out, such as Athlon Mini Pop Alpha Transformer Robot Car and Fairy Princess Secret Jouju, from which children can pick one item. There will be a photo booth and coloring place mats with cartoon characters. At cooking stations, grilled abalone, lamb chops and tandoori chicken and curry as well as seasonal dishes are served. The price is 108,000 won per adult and 74,000 per elementary school student and 50,000 per preschool child. For information and reservation, call Aria at 02) 317-0357. The Banyan Tree Club and Spa Seoul is offering a mango and melon dessert buffet every weekend and holiday from May 6 to Aug. 27. 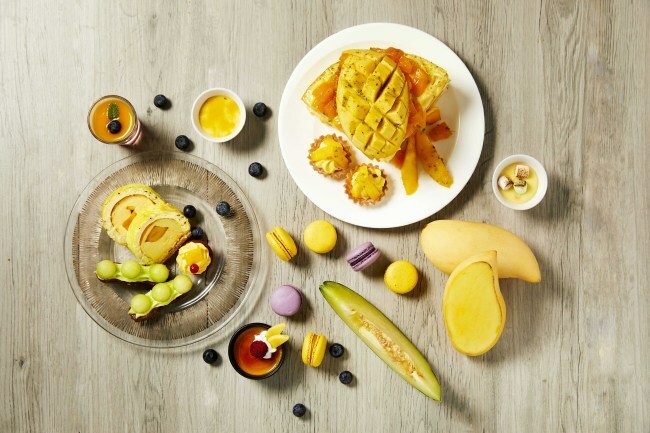 More than 30 different kinds of mangos, melons as well as desserts such as mango cream cake, melon strudel and mango and melon milk bingsu (Korean shaved ice) are available. Tropical fried rice and chicken wings will also be served. Two seatings are available: From noon to 1:40 p.m. and from 2 p.m. to 3:40 p.m. The price is 55,000 won per adult, 40,000 per school child and 25,000 per preschooler. For reservation and information, call Granum Dining Lounge at (02) 2250-8143. 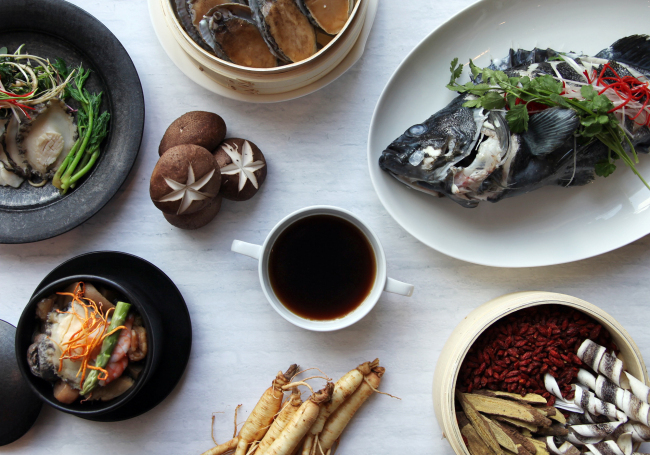 Sheraton Grand Incheon Hotel’s Chinese restaurant Yue is offering a set menu from May 1 to June 25, comprised of abalone and lobster soft crab soup with beef and tofu, Singaporean cereal shrimp and black noodles. Lunch costs 75,000 won and 130,000 won for dinner, while a la carte menus for children are 15,000 won each. For reservation and information, call (032) 835-1718/19.